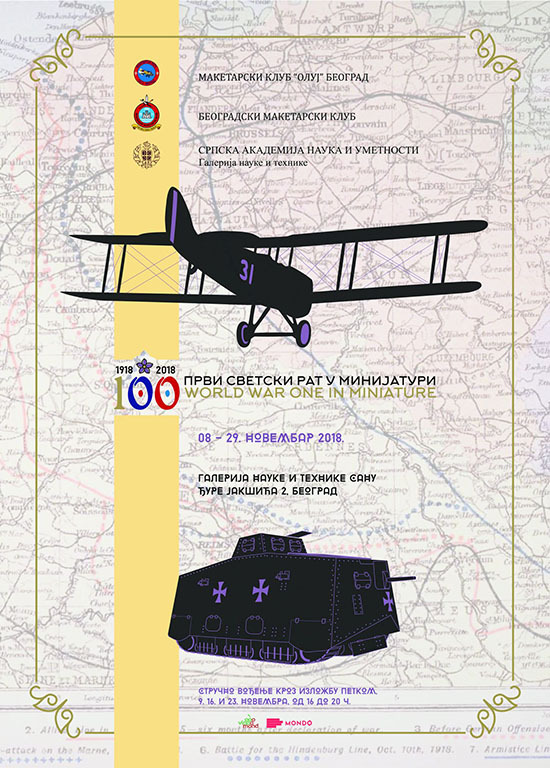 The exhibition, World War One in Miniature, organized by the Oluj scale model club and the Scale Model Club of Belgrade, opens at the SASA Gallery of Science and Technology on Thursday, Nov. 8, at 6 p.m. as part of the celebrations marking the centennial of the end of World War I. The exhibition is intended for a broad audience, particularly schoolgoers and fans of applied art, miniatures and history. Guided tours of the exhibition are from 4 to 8 p.m. every Friday.